We are here to render information you would like to know. We provide basic information of accommodation status in the Himalayan country of Nepal to the entire traveler's & concerned. Such information is I hereby rendered in a database format. 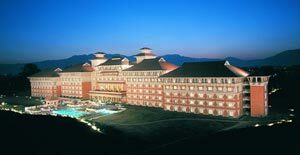 The hotels and resorts listed in the database are all registered in Nepalese Government. The database includes the description of the hotel and its facilities, services, tariff & their star categories. This will enable you to choose the accommodation of your interest according to your budget.